What happens to you when you get overwhelmed? For me - my head goes into a tail-spin as I think about everything that has to get done before a specific date or before a specific project can get complete. For teachers, you might feel overwhelmed most at the beginning of the school year (setting up your classroom, prepping for the first day of school, open house) or during state testing time, trying to cram in any extra information you want your students to get before they're asked it on the test. Chances are you go through several cycles of overwhelm throughout the course of the year. It's just the nature of the job, right? Today I want to share with you 3 actionable solutions to help stop overwhelm in its tracks before it takes over your life. Let's get to it. Like I mentioned, for me - I feel most overwhelmed when all I can think about are those tasks that seem to be constantly piling up with no end in sight. So what can you do when your brain starts this inevitable tail-spin of creating mental checklists that seem endless? Do a brain dumb! Write down everything in your head that's on your to-do checklist - both teacher and personal related. Write down your son's soccer game that you have to go, jot down the copies that you need to make, or the phone calls that need done. Write it ALL down as it spins in your head. Once you've got it all down, start circling and chunking tasks together. For example, you might circle together (or star...or color-code...however you want to organize it all) things that are urgent and need to be done first. You can also group together those tasks that are related so that you can bang them out together. So much of our time and energy is wasted when we constantly shift gears to complete tasks that are unrelated. Group like-tasks together so that you save your brain power from having to shift your mental energy too much. You might also find you have several items from your brain dump that truly can wait. And if that's the case, don't let those sneak in and make you feel even more overwhelmed. 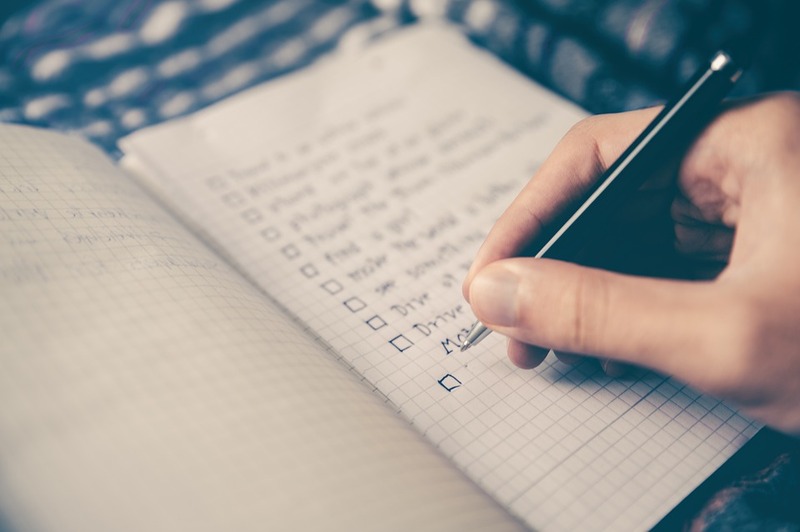 Cross those items off your list completely (or create a separate list to deal with later). Finally - look to see if there are things listed on your brain dumb list that you need to say "no" to. If you don't HAVE to do it - consider saying "no" to that task so that you can eliminate something all together and free up more of your time. After categorizing your brain dumb - schedule your tasks - physically put them on your calendar (I've been LOVING this system that has done wonders for my overwhelm). Will you make those copies after school? Do you plan to make those phone calls at the end of the week? Will you pick up your dry cleaning after school on your way home? Give a scheduled time for each task so that you KNOW when it's going to all get done. If you develop a system for dealing with all of those tasks and life events that typically send you down the path to overwhelm, I think you'll find that the stress level will come way down. A lot of our overwhelm as teachers comes from thinking that we can do it ALL and try out every new technique, classroom trend, or teaching strategy we see on social media in order to be successful with our students. After all - if all of the other teachers are doing it, you can too, right? 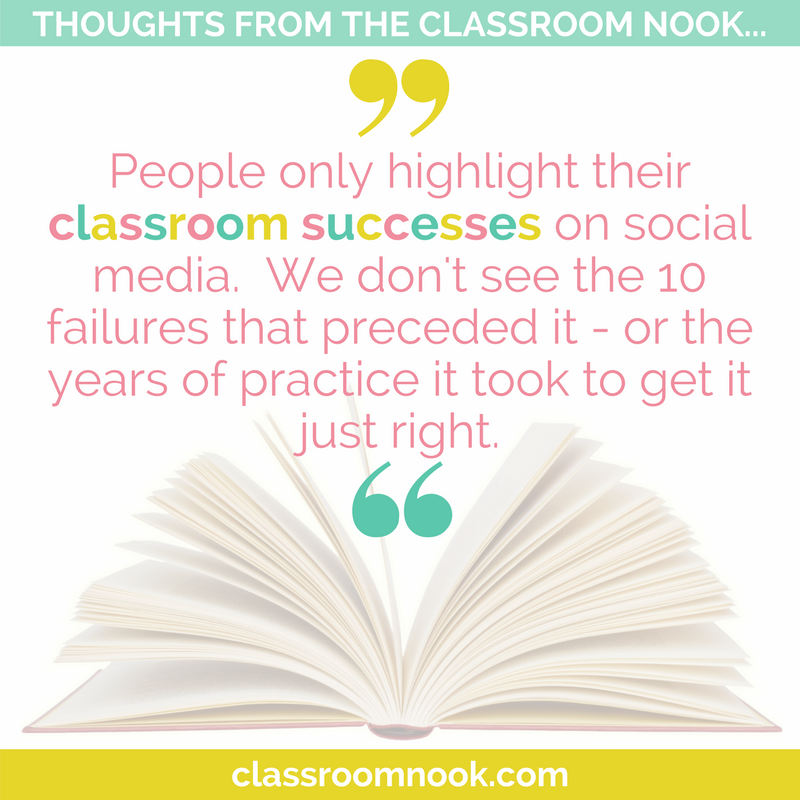 First off, people only highlight their classroom successes on social media. We don't see the 10 failures that preceded it - or the years of practice it took to get it just right. At the beginning of the school year especially, teachers start crafting their big plans of new things to implement in their classrooms. We spend all summer scouting out new things we want to try with our students and before long we're planning a complete over-haul of how we teach. Please, take a moment to breathe....and think. 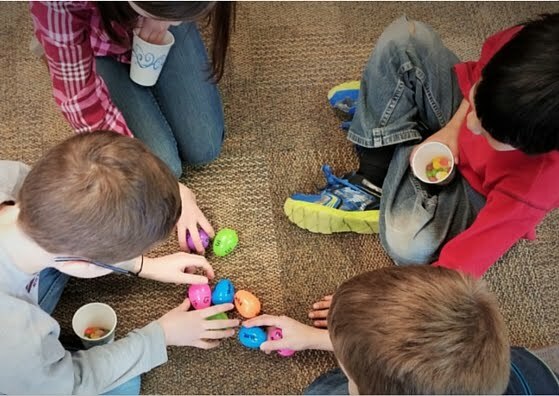 Do you really need to try out flexible seating AND implement google classroom together for the first time in the same school year? Or could you pick the ONE that you think will get you the biggest bang for your buck, or the one that you think you can sucessfully manage right now with your current workload and life situation? 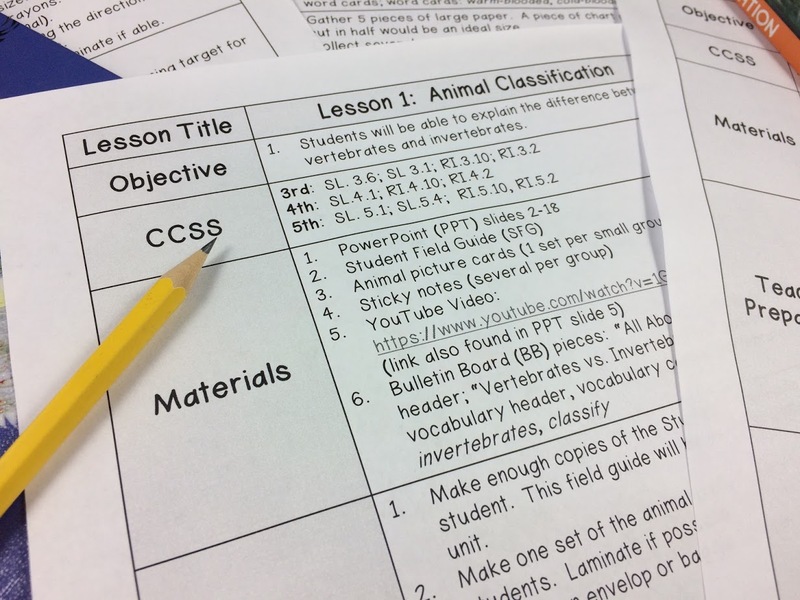 Do you have to start doing interactive notebooks with EVERY subject right off the the bat, or can you pick one content area where you think interactive notebooks will really enhance your students' learning? Instead of doing "all the things" - consider choosing only one or two new things you want to try at a time. Give your full attention to those and master it. And - when starting something new, take away the "extras" and focus on the necessities first. Build the foundation and go from there. Start simple, get fancy later. For example, if you're planning on starting interactive notebooks with your students, keep the components of the interactive notebook simple. This will benefit both you and your students (especially if they are new to them, too). Keep the foldables, flaps, and pieces that students cut out and paste into their notebooks simple. Give yourself permission to ease into the process. And then, as you and your students get more comfortable with the process, your notebook components can become more elaborate. The idea of "simplifying your teaching" is true for your classroom look, too. The pressure is on for teachers to have Pinterest-worthy classrooms - and it's just simply NOT necessary (unless you love that kind of thing)! Don't put that pressure on yourself. If your classroom is welcoming, organized, and student-center - that you've got everything you need to be a great teacher. If DIY is not your jam, then don't do it! If spending your weekend spray painting chairs to match your classroom color scheme makes you cringe - DON'T DOT IT! Simplify your teaching by allowing yourself to do one or two things really well instead of a bunch of things mediocre. 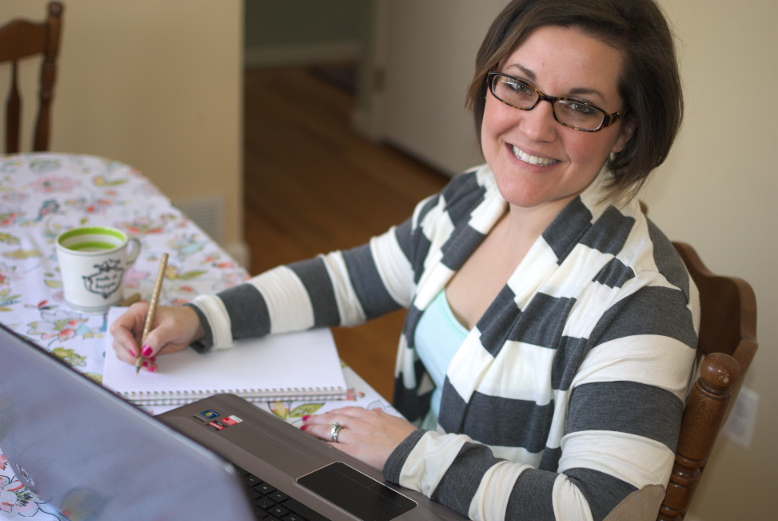 If you're like me, then a LOT of your overwhelm comes out of fear and worry. It's easy to get overwhelmed when you are worried about...well...everything! You fear that you won't get your classroom ready in time before the school year starts. You worry about that parent-teacher conference coming up. You're afraid that the curriculum that your district uses is going to change...again - just after you switched over all of your teaching resources. You worry your students won't do well on state tests and as a result, your reputation as a teacher will be at stake. Even teachers who have been in the classroom for years have fears, worry, and doubt. Instead of clumping all of your teaching fears into one overwhelming category - give your fears a name. Often times when we pick out exactly what worries us, we can be more active with coming up with a solution. Worried about that parent-teacher conference? Make sure you're extra prepared with positive things to say about the student as well as some helpful tips for improvement. Gather lots of student samples so that you can show evidence to back up your conversation. Letting our fears float around in our head will only keep them spinning and churning instead of dealing with them straight on. Getting to the root of WHY you are afraid will help give a new perspective to your fear. Perhaps you'll realize that you're being too hard on yourself (all teachers are), or are being way too critical of your abilities as a teacher. Are you afraid because you think other teachers and administrators will judge you? If you're worried about that parent-teacher conference - maybe its because last time you met with the parents, it didn't go well. But - this time can be different because you're more prepared. That's not comforting to hear, is it? Let's be honest - teaching never gets "easy." Just when you think you've got a system and flow - something changes. You get new students every year with different needs and different personalities. Teachers are constantly being asked to pivot in order to reach higher standards and tackle new educational issues - and there's no end in sight. So instead of letting our teaching fears cripple us, let's get buddy-buddy with those fears. Know them, claim them, and instead of letting take hold of us, work towards actionable solutions. And- since these fears are not going away any time soon, let's learn how to deal with them better by giving ourselves more grace. Teaching is hard. It's even harder if we don't give ourselves room to try out new things, make mistakes, and learn from them. Finally, remember this: Overwhelm is temporary. 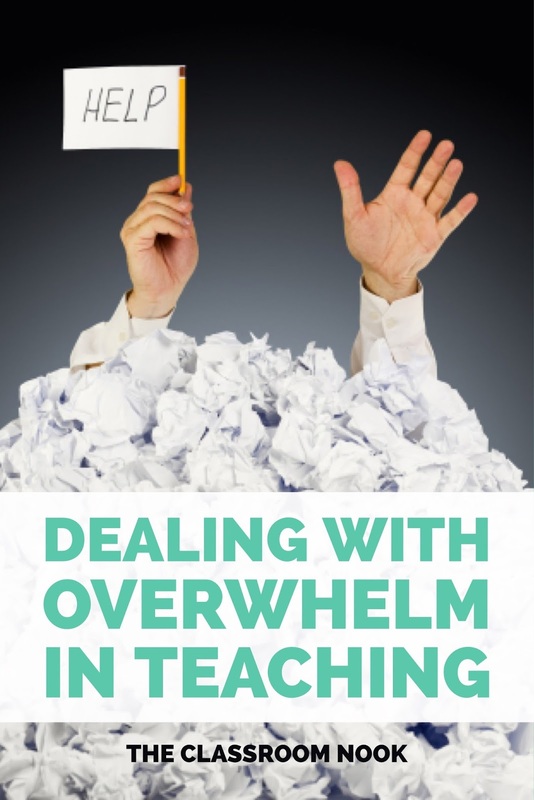 Each fear that you have as a teacher cycles through - yes, a new one might come to replace it - but if you have strategies in place for dealing with overwhelm as it comes at you, you'll be ready to take them head on.